Taking learning "to infinity & beyond" the classroom...to your home! 1) Read CHAPTER 7 below on the slideshow. 2) Pay close attention to the highlighted sections. 3) Complete the COMPREHENSION FORM below, so Mrs. Petlak sees that you read the assignment. 4) BE SURE TO BRING ANY ANSWERS YOU WRITE DOWN ON PAPER TO SCHOOL TOMORROW TO SHOW YOUR WORK! 5) Be ready to discuss your answers in class! Would you like to earn BONUS DOJO POINTS for homework this weekend? Wouldn't you LOVE to get ahead in your Lemonade War reading so that you could finish your literacy must-do assignment and have FREE CHOICE during Daily 5 time? If so, you can get a JUMP START on this week by reading Chapter 6 in Lemonade War today (Sunday, 4-14-13)!! 1) Click HERE to find the pages for Chapter 6 in our "In Flight Learning" section. 2) Read the chapter, paying close attention to the highlighted sections. 3) Complete the BONUS DOJO POINTS FORM below and Mrs. Petlak will award all participants with extra credit on Monday! Click HERE to open Chapter 5 in another tab so that you can flip back and forth between this form and the text without losing your answers. Read or re-read the chapter to figure out the answers to the questions below! For the next-to-last question, you need to do work on paper and bring that to school tomorrow! Click HERE to open Chapter 4 in another tab so that you can flip back and forth between this form and the text without losing your answers. Read or re-read the chapter to figure out the answers to the questions below! You may continue to browse through the pages and resources online for the Community Project by clicking HERE. Complete the PROJECT CHOICE FORM BELOW. These activities are SO MUCH FUN, you'd NEVER GUESS they were homework! 1) Watch the Brainpop Video. 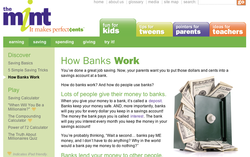 Re-watch the Brainpop video on BANKING by clicking HERE or on the picture to the left. 3) EMAIL your results to Mrs. P.
When you finish, email your quiz score to Mrs. Petlak. 7) Practice Writing a CHECK! 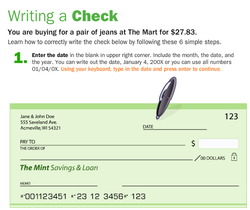 Learn how to write a check like a grown-up! Click HERE or on the image to the left to go to the fun activity. Be sure to read the directions CAREFULLY and hit enter to go to the next step. 2) Complete the GRADED QUIZ. Complete the GRADED QUIZ by clicking HERE or on the picture to the left. If you miss any answers on the quiz, be sure to click VIEW YOUR RESULTS. 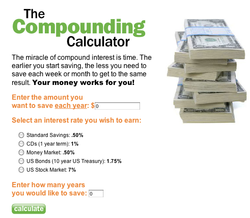 Play a game to see how your money grows when you save and invest by clicking HERE or on the image to the left. 8) Complete the form below. Show what you've learned and rank your understanding by completing the GOOGLE form below. 2) Play Brainpop games, word wall, etc. to practice. 2) Fill out the SHOW WHAT YOU KNOW FORM (BELOW) so that Mrs. Petlak can see what you learned today in order to challenge you or what she needs to review tomorrow because you still need to learn more about the topic. During our ISAT Olympics practice, in our writing, and our vocabulary journals, we focus on synonyms & antonyms. Show what you know by watching the video, reading the lyrics, and answering the questions below. 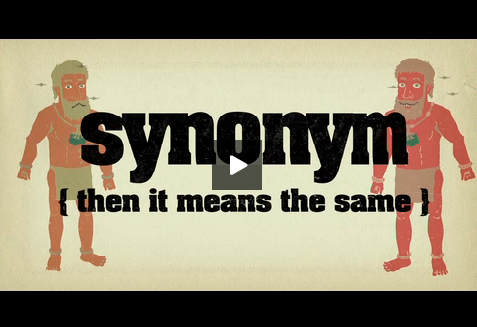 1-Watch the Synonyms/Antonyms music video below. 2-Read the LYRICS (Lyrics is a SYNONYM for words in the song) to the right to understand the rap better. 3-Answer the questions in the form below. The answers to ALL of the questions can be found in the video/song and the lyrics to the right. Click HERE or on the image below to watch the video! Synonyms & Antonyms "So Many Words"
Do you know about the synonyms? They say the same thing again and again, again. They might appear in the twilight or evening. You should be happy and glad they're here. Big, and gigantic like a giant or a titan. The same thing with the same words. So look around that book and explore it! So many words, what's in name? So many words that you have got to get. They're my enemy, nah we can't be friends. They pick it up when I'm dropping it. Whenever I'm permanent, they're just a fad. I'm flying though the sky, they're digging underground. They're useful, when I am useless. Bravery to my fear, the first to my last. Synonyms need antonyms, they don't need to fight. So now you know about these groups, aight? You should use both of 'em when you write... right? 1) Read simple machines textbook pages below. 2) Complete the form below and submit to show what you know! 1) Watch the Brainpop, Jr. VIDEO. Watch the Brainpop, Jr. video on EMAIL. This is meaningful to us because our class just received Gmail accounts and we are using email to communicate with Mrs. Petlak and classmates. **Click HERE or on the picture to the left to watch the video. The video will open in a NEW window, so this one will stay open and allow you to come back and finish the assignment instead of having to click the BACK arrow several times!! It will be MUCH EASIER! 2) Practice the Brainpop, Jr. WORD WALL. 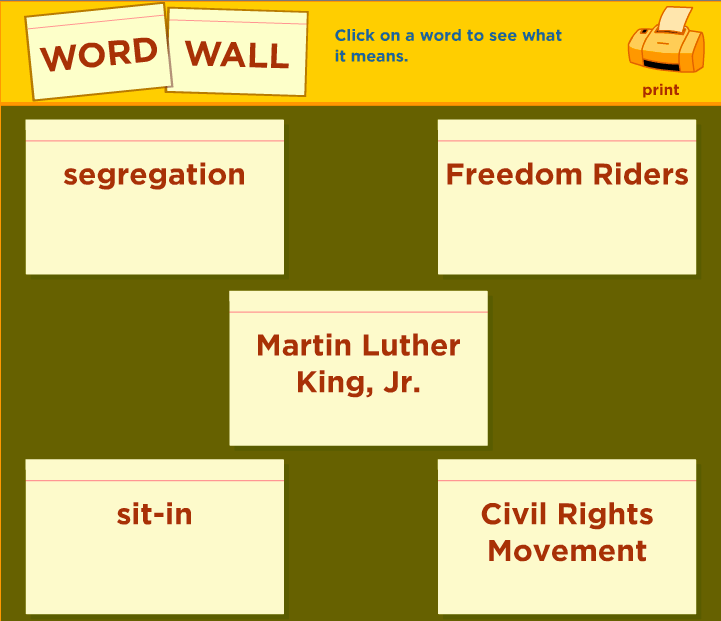 After you watch the video, practice the vocabulary words by visiting the WORD WALL page. Click HERE or on the picture to the left to go to the EMAIL WORD WALL. 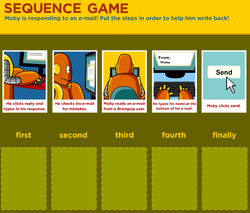 3) Play the Brainpop, Jr. EMAIL SEQUENCE GAME. After you've watched the video and practiced the word wall cards, play this FUN sequencing game! Moby is responding to an email. Put the steps in order to help him write back! Click HERE or on the picture to the left to go to the EMAIL SEQUENCE GAME. 4) Complete the form below to show what you know. If you accidentally hit SUBMIT and need to change answers or finish the form--DON'T WORRY! You will see an "EDIT YOUR RESPONSE" button that allows you to GO BACK and change or finish! Thursday, 1-31-13: Create a document on GOOGLE DRIVE! Have fun tonight creating or adding to your Google Docs on the DRIVE! Some of you started projects by yourself or are collaborating with other students on a group writing project. Others may need to create a new document. Your only assignment tonight is to either continue writing (if you already started) or start a new writing project and share it with lpetlak@nssd112.org so that I may make comments. When you update your document, send me an email so that I'll know to make comments!! 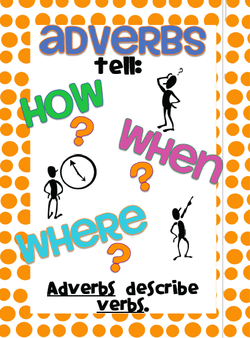 We are getting ready to learn about ADVERBS! So far, you have watched the School House Rock adverb music video, reviewed adverb rules, and practiced a little bit. Now it's time to SHOW WHAT YOU KNOW. By completing the simple form below, Mrs. Petlak will be able to tell if you are an adverbs expert ready to add adverbs to your writing immediately, or if you need a little more help to understand how adverbs work before we begin our writing projects. Complete the ADVERBS FORM below as your Satellite Learning Assignment for tonight. 1) Watch Brainpop VIDEO HERE. We've been learning about forces and motion in science. This week we've experimented with pushes and pulls as well as force and speed. Tomorrow we will experiment with Newton's Laws of motion with a car race that tests different friction race tracks! Watch this video to learn more about Newton's Laws so that you are ready to be scientists tomorrow! If you watch the video once and are confused or need to review some more, watch it a second time. 2) Take the GRADED QUIZ HERE. After you have watched the video on Newton's Laws and feel you understand the concepts of forces and motion, take the GRADED QUIZ. PRINT a copy of your scored quiz and bring it to school Friday morning to show Mrs. Petlak so that she will best know how to assist or challenge you during the experiment tomorrow afternoon! 3) Complete the assignment FORM and submit online. Earn 5 DOJO Bonus points for super scientist research by extending your learning about Sir Isaac Newton! Click HERE to watch the video. Take the GRADED QUIZ on Isaac Newton, PRINT your scored test, and bring it in for bonus points! Satellite Learning Assignment for 1-21-13: Martin Luther King, Jr.
1) Click this button to WATCH the VIDEO. 2) Click this BUTTON to practice the WORD WALL. 3) Click this BUTTON to PLAY the GAME. 4) Type the CORRECT sequence of events from the GAME and SUBMIT HERE. Put ONLY your last INITIAL, NOT your full last name. 5) Click this BUTTON to take the EASY QUIZ. 6) Either PRINT your results and bring the PAPER COPY to school, or UPLOAD the digital copy HERE. Put LAST INITIAL ONLY, NOT full last name. PRINT paper copy and BRING TO SCHOOL UPLOAD digital COPY HERE. BONUS: Click this BUTTON to take the HARD QUIZ. 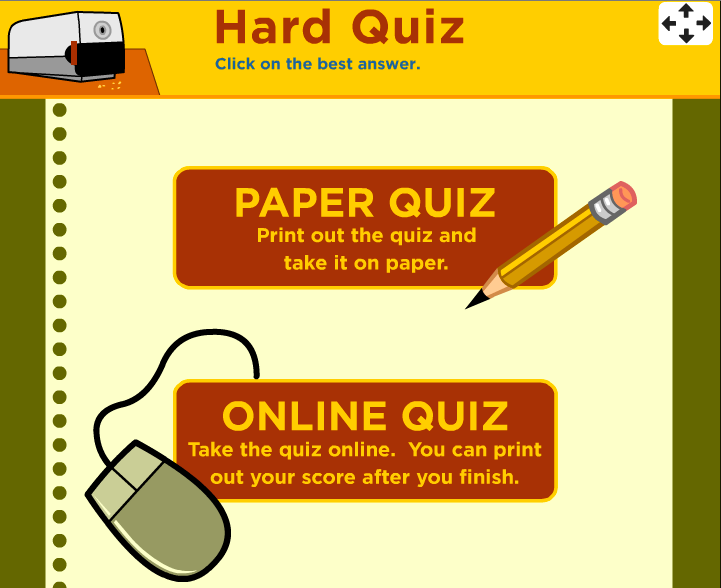 BONUS: Earn BONUS DOJO points by PRINTING a COPY of your HARD QUIZ score and bringing to to school -or- UPLOAD the DIGITAL copy HERE. Put your LAST INITIAL ONLY; NOT your full last name. PRINT a PAPER copy and BRING it to SCHOOL. UPLOAD a DIGITAL copy HERE. Follow the directions BELOW and use the links to the LEFT to watch a video, play a game, learn new words, and take comprehension quizes! 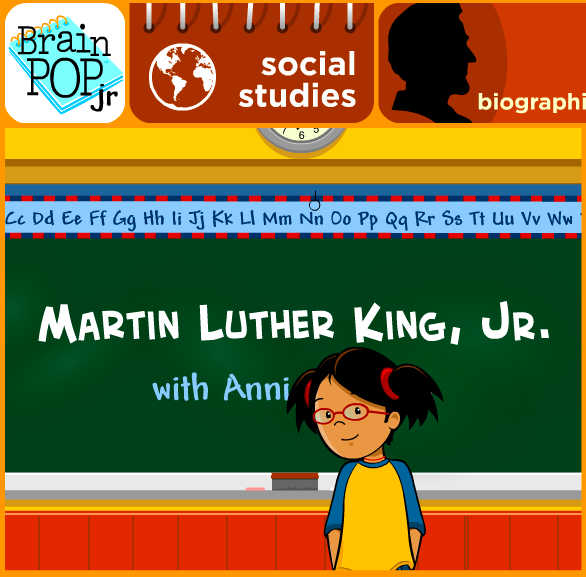 1) Watch the Brainpop, Jr. video about Martin Luther King, Jr. by clicking on the button or the image to the left. It is a FREE video, so you do NOT need a login or password. 2) Play with the WORD WALL flash cards. Read each word, then click it to see the definition. Play "make a match" with your parents or siblings like we do at school! 3) Play the FUN SEQUENCING GAME. Put the events in the correct order after learning from the video and word wall activity. 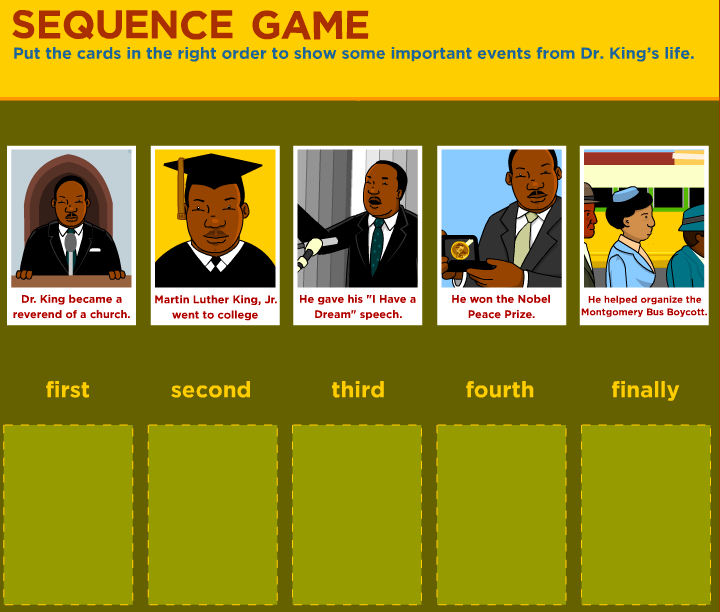 4) TYPE your CORRECT ANSWERS to the sequencing game in the FORM to the left. Show Mrs. Petlak you understand the order of events in Martin Luther King, Jr.'s life. 5) Take the ONLINE EASY QUIZ. Do NOT take the paper quiz--take the ONLINE version. 6) Either PRINT a PAPER copy of your SCORE, or UPLOAD a DIGITAL copy using the form to the left. **BONUS POINTS CHALLENGE: Earn DOJO BONUS POINTS by taking the ONLINE HARD QUIZ! 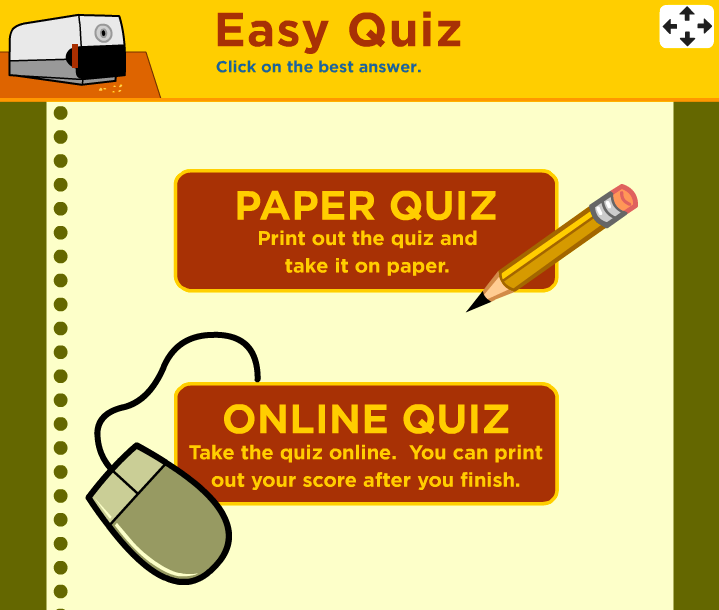 Take the quiz and then either PRINT a PAPER copy of your SCORE, or UPLOAD a DIGITAL copy using the form to the left to earn extra bonus points! Show what you know about counting back change! Are you ready for the GALAXY MALL? Only put your LAST INITIAL, NOT your entire last name. TOTALLY--I can't wait to shop! I feel good about it and will practice tomorrow at the mall. I KIND OF understand it, but might need reminders tomorrow. I feel like I might need to MEET with you about it. I REALLY need some help making change at the Galaxy Mall! Tomorrow we will be shopping at our Galaxy Mall. Last week we got our paychecks and cashed them, so we are ALL ready to shop tomorrow! We need to make sure we know how to COUNT BACK CHANGE so that we get back the money we are owed after we pay for our items. 1) Watch the counting back change video to the left. If you miss something or still don't understand it, watch it again and take some notes. 2) Practice IXL MAKING CHANGE for 3rd grade. 3) Fill out the satellite learning ticket form (to the left) to show that you completed your homework and understand counting back change. Mrs. Grost would like for our class to tally WHO has been reading throughout each week for iRead. If you have been reading this week and recording your minutes, please fill out the form below as part of your Satellite Learning Assignment. Mrs. Grost will be making announcements about our progress towards our goal tomorrow afternoon! Have you been "PLUGGED IN" to iRead 2013? Only put your LAST INITIAL, NOT your full last name. 1) Read Chapter 5 above. 2) Complete the COMPREHENSION CAROUSEL worksheet sent home today. 3) Fill out this form to confirm that you completed your reading homework. 4) Don't forget to log MINUTES READ in your iRead form. ONLY PUT YOUR LAST INITIAL---NOT YOUR ENTIRE LAST NAME. Yes No I NEED HELP! In case you lose the COMPREHENSION CAROUSEL worksheet, you may download it BELOW. In 3rd grade, routine academic practice is essential to mastering necessary skills and preparing for the responsibility of 4th and 5th grades. This year students will have clear and consistent homework routines that are expected to be completed and returned to school on the dates indicated. 1) Read nightly, record on paper reading log (calendar). 2) Complete 1 reading response activity per week. Additional projects or enrichment opportunities may come home throughout the school year. Instructions and details will accompany such tasks. If/when a student forgets to bring back/turn in important items to school such as homework or library book, a "Alien Alert" ticket will be issued. This is a form completed by the student and sent home as a reminder to bring the missing item to school ASAP. Alien Alert tickets result in Class DOJO points being deducted, and therefore deducted from their Cosmic Checks and Martian Money payouts. Please click on the following links for subject-specific homework helpers. 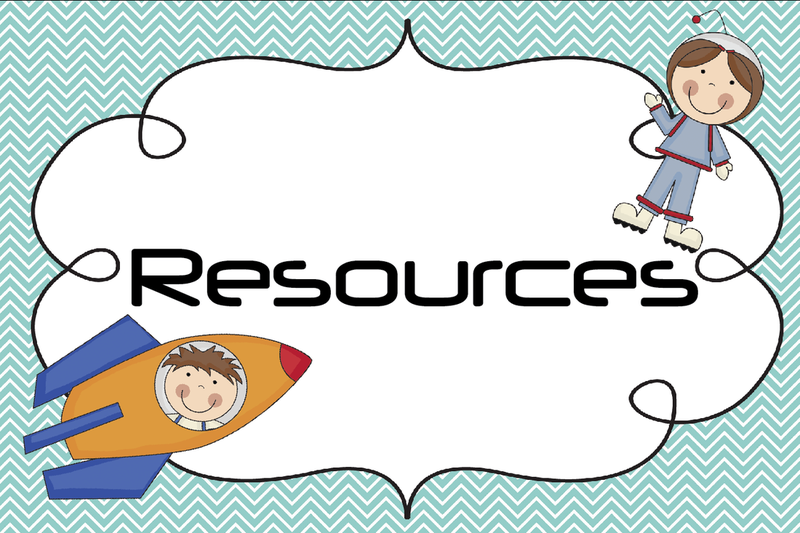 These files will help you navigate homework, questions, and supportive learning at home with your astronaut-in-training.